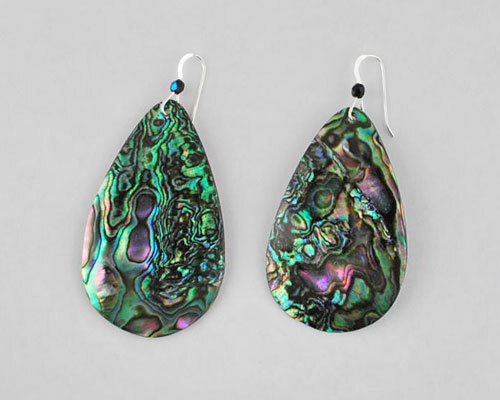 Green abalone earrings, 2 inches (50mm) long teardrop, with sterling silver ear wires. Always changing it's appearance in different lighting. These are a product of nature so no two pieces are exactly the same.